For those folks looking to live the lake property dream, it’s important to know that there’s more to consider about buying Lake Michigan property than just drive time and whether the water’s wet. In fact, doing a little homework ahead of time will pay huge dividends down the road, maximizing the likelihood that the lakefront cottage may stay in the family for generations to come. Taking some time up front is critical when it comes to buying Lake Michigan property. It doesn’t take long, but there are some important things to consider. You don’t want to make the mistake of moving too quickly and regretting your purchase. To help you, we’ve put together this quick read — a primer of sorts — and of course, at any time, feel free to contact us at Lake Michigan Real Estate. So, what are those key things to consider? Well, there are a number of them. Some are about you, and some are about the lake and the property itself. And it’s helpful to be familiar with them before you start looking at properties. That way, you can have yours eyes open to the full range of considerations from the outset. 1. What do you want to do at the lake? This is a simple question, and it may be the most important, so it’s worth taking some time to consider. Do you want to waterski and jet ski? Do you envision floating around on a pontoon? Is fishing important? Are you a kayaker? A birder? Do you care what other people do? For example, do you want an all-sports lake, or do you prefer a quieter, no-wake lake? 2. How big of a lake are you looking for? Size matters. Among other things, it will impact the types of activities you can do. 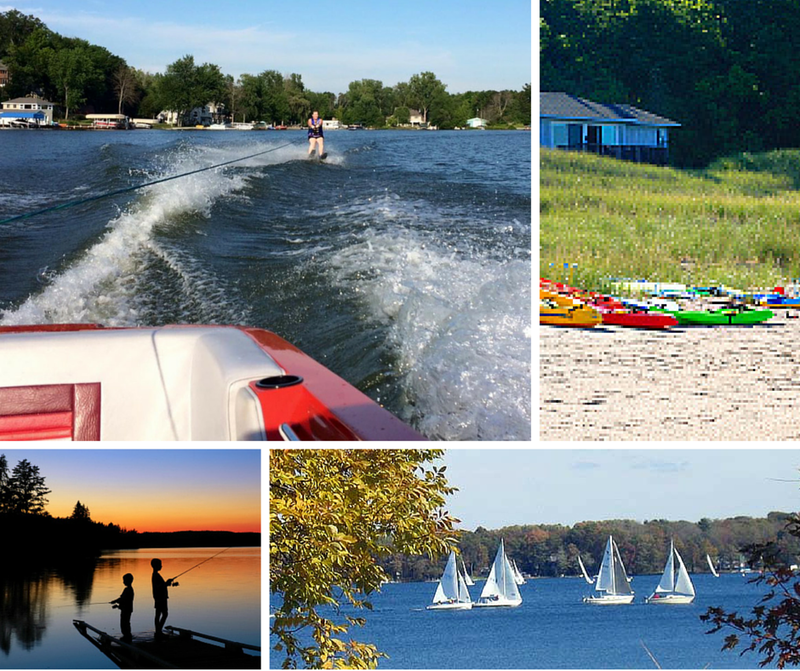 For instance, just within 2-3 hours of Chicago, in southwest Michigan, there are lakes ranging in size from less than 50 acres, to the 2,680-acre Gun Lake. That’s a big range. 3. How close do you want your neighbors to be? Would it matter if they’re close? Or would you prefer to have more open space between you and your neighbors? Naturally, some lakes are more populated than others. 4. How far are you willing to travel? Most people have a desired drive time of less than two hours. Does that describe you too? Or are you open to traveling further? Your travel time will define a radius, within which will be your search area. 5. How deep is the lake? 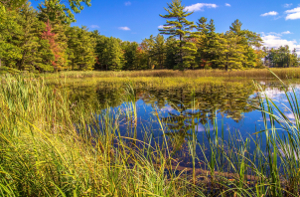 The relevance of this question is that water clarity is a key sign of a younger lake, and is naturally more popular for swimmers, while older lakes will have less clarity, and those nutrients make them more popular for fisherman. 6. What’s the beachfront like? Is it a sandy bottom or have more clay? Is it weedy or have lily pads? The beachfront will impact whether you can have a dock, and influence what type of dock makes the most sense. 7. 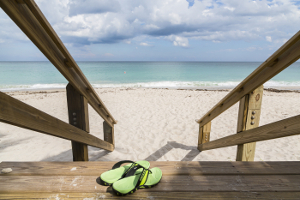 Does the property you’re looking at have its own private beach, or is it a common beach? There are advantages and disadvantages to both, but most importantly, you want to know the details that relate to the property you’re considering buying before you buy it. 8. Is the property in a homeowners association? It’s not uncommon for lake properties to be in neighborhoods with private roads, and sometimes with other common areas. You’ll want to know these details ahead of time, before making an offer. It’s always a good idea to be comfortable with any by-laws or covenants of the homeowners association before making a purchase. 9. Is there there anything of note about the lake? Does it have a reputation, good or bad? Does it have characteristics that are likely to influence property values? There are other things to consider, but these are the highlights. The bottom line is that it’s important to have a good conversation about these things before even looking at individual properties. And later, when you’ve found a place and want to make an offer, be sure that offer includes contingencies that allow you to do your full range of due diligence before closing. 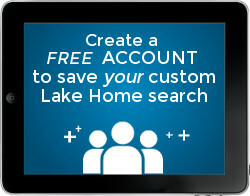 Find an agent that truly understands lake properties – if they don’t know enough about all the unique details that come with the lake lifestyle, they can’t adequately represent your best interests. Our agents have experience buying & selling lake homes – we work daily with specialty properties like lakefront homes & condos, and often know of properties not yet available on the MLS. Or, do your own due diligence to find an agent with the necessary knowledge. Take into consideration the full range of questions, do your homework and be careful to do your due diligence. Of course, in that regard, it’s also important to work with a qualified and competent Realtor, like one of the professionals associated with Michigan Lifestyle Properties. With proper planning, you’ll make a great decision, and then it’s good times, here we come!